Female workers sort shrimp at a seafood market in Mahachai, Thailand, Sept. 30, 2015. Shrimp is the most-loved seafood in the U.S., with Americans downing 1.3 billion pounds every year, or about 4 pounds per person. Once a luxury reserved for special occasions, it became cheaper when farmers in Asia started growing it in ponds three decades ago. 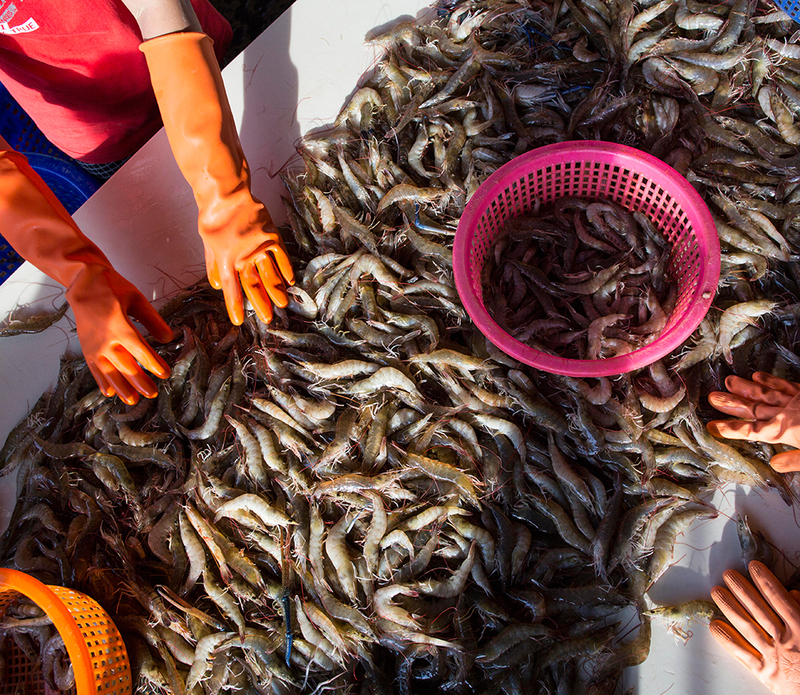 Thailand quickly dominated the market and now sends nearly half of its supply to the U.S.
WASHINGTON — Impoverished migrant workers in Thailand are sold or lured by false promises and forced to catch and process fish that ends up in global food giant Nestle SA’s supply chains. The unusual disclosure comes from Geneva-based Nestle SA itself, which in an act of self-policing announced the conclusions of its yearlong internal investigation on Monday. The study found virtually all U.S. and European companies buying seafood from Thailand are exposed to the same risks of abuse in their supply chains. Nestle SA, among the biggest food companies in the world, launched the investigation in December 2014, after reports from news outlets and nongovernmental organizations tied brutal and largely unregulated working conditions to their shrimp, prawns and Purina brand pet foods. Its findings echo those of The Associated Press in reports this year on slavery in the seafood industry that have resulted in the rescue of more than 2,000 fishermen. Fancy Feast cat food, fish and shrimp feast flavor, a product of Thailand, purchased at a Publix market in Orlando, Fla. The laborers come from Thailand’s much poorer neighbors Myanmar and Cambodia. Brokers illegally charge them fees to get jobs, trapping them into working on fishing vessels and at ports, mills and seafood farms in Thailand to pay back more money than they can ever earn. “Sometimes, the net is too heavy and workers get pulled into the water and just disappear. When someone dies, he gets thrown into the water,” one Burmese worker told the nonprofit organization Verite commissioned by Nestle. Nestle said it would post the reports online — as well as a detailed yearlong solution strategy throughout 2016 — as part of ongoing efforts to protect workers. It has promised to impose new requirements on all potential suppliers and train boat owners and captains about human rights, possibly with a demonstration vessel and rewards for altering their practices. It also plans to bring in outside auditors and assign a high-level Nestle manager to make sure change is underway. 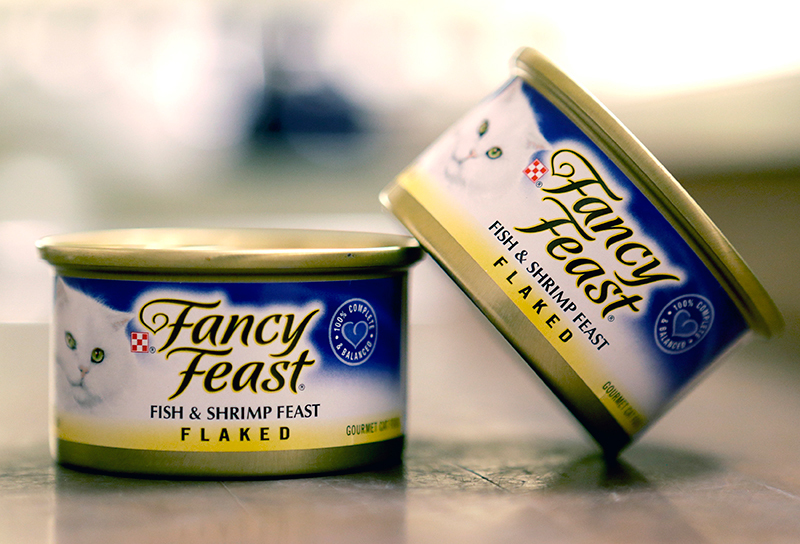 Nestle is not a major purchaser of seafood in Southeast Asia but does some business in Thailand, primarily for its Purina brand Fancy Feast cat food. 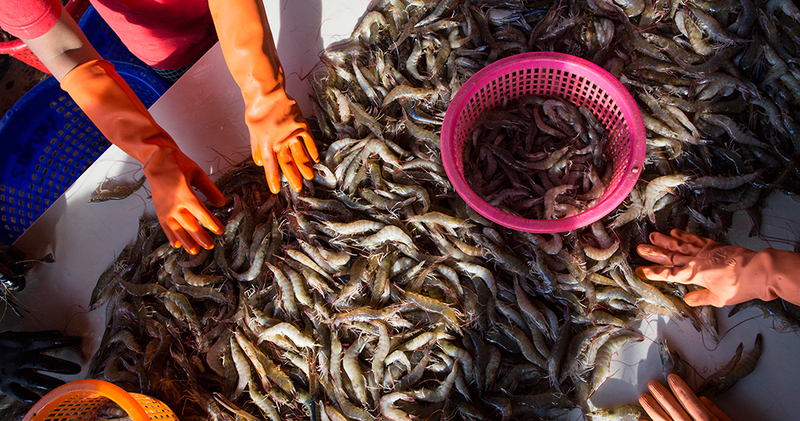 For its study, Verite interviewed more than 100 people, including about 80 workers from Myanmar and Cambodia, as well as boat owners, shrimp farm owners, site supervisors and representatives of Nestle’s suppliers. They visited fish ports and fishmeal packing plants, shrimp farms and docked fishing boats, all in Thailand. Boat captains and managers, along with workers, confirmed violence and danger in the Thai seafood sector, a booming industry which exports $7 billion of products a year, although managers said workers sometimes got hurt because they were drunk and fighting. Boat captains rarely checked ages of workers, and Verite found underage workers forced to fish. Workers said they labor without rest, their food and water are minimal, outside contact is cut off, and they are given fake identities to hide that they are working illegally. Generally, the workers studied by Verite were catching and processing fish into fishmeal fed to shrimp and prawns. But the Amherst, Massachusetts-based group said many of the problems they observed are systemic and not unique to Nestle; migrant workers throughout Thailand’s seafood sector are vulnerable to abuses as they are recruited, hired and employed, said Verite. Monday’s disclosure is rare. While multinational companies in industries from garments to electronics say they investigate allegations of abuse in their supply chains, they rarely share negative findings. “It’s unusual and exemplary,” said Mark Lagon, president of the nonprofit Freedom House, a Washington-based anti-trafficking organization. “The propensity of the PR and legal departments of companies is not to ‘fess up, not to even say they are carefully looking into a problem for fear that they will get hit with lawsuits,” he said. In fact, Nestle is already being sued: In August, pet food buyers filed a class-action lawsuit alleging Fancy Feast cat food was the product of slave labor associated with Thai Union Frozen Products, a major distributor. It’s one of several lawsuits filed in recent months against major U.S. retailers importing seafood from Thailand. Some of the litigation cites the reports from the AP, which tracked slave-caught fish to the supply chains of giant food sellers, such as Wal-Mart, Sysco and Kroger, and popular brands of canned pet food, such as Fancy Feast, Meow Mix and Iams. It can turn up as calamari at fine restaurants, as imitation crab in a sushi roll or as packages of frozen snapper relabeled with store brands that land on dinner tables. The U.S. companies have all said they strongly condemn labor abuse and are taking steps to prevent it. Nestle promises to publicly report its progress each year. Download AP Mobile for breaking news on your Apple, Android or Windows mobile device.